Seattle Mayor Jenny Durkan has put a pause on construction of Center City Connector (CCC): The only high capacity transit project planned within downtown Seattle between now and 2035. Seattle is expected to see nearly 50% job growth over the next two decades. After a decade of work to make the CCC a reality, the mayor has halted this transformational project without a better alternative and endangering $75 million+ in federal funding. Project termination would mean less capacity, less access to jobs, fewer tourists dollars spent in minority-owned small businesses, fewer options for seniors and the mobility-impaired, and more reliance on a singular bus corridor that is slow and over capacity. The CCC is the linchpin transit capacity project to improve center city mobility and must happen. Sign our petition today to make it a reality. Very frequent service with trains every five minutes from Chinatown-International District to South Lake Union. This is more frequent than Link light rail’s rush-hour service. Exclusive transit lanes to keep streetcars and buses moving. Such measures elsewhere have caused 25% ridership growth in less than a year. The CCC remedies the disconnected nature of our existing streetcars, increasing their ridership, and capturing added value from existing investments. The CCC adds capacity in part of the network that is already overstressed and is going to get worse over time. The CCC will free up critical bus capacity on Third Avenue by moving infrequent riders to a more legible, faster loading option. Streetcars reduce the number of cars that clog our roads and slow buses. Over 70% of riders of the current South Lake Union streetcar are taking work trips. The CCC expands that reach. CCC provides a direct connection to Madison BRT and ferry riders to get to jobs in Downtown, Chinatown-International District, South Lake Union, and First Hill. CCC means more spending at small, minority-owned businesses. Connecting the 15 million tourists who visit Pike Place Market to other parts of our city means more revenue for small businesses in Chinatown-International District, and the Central District. Portland businesses attribute 20% sales growth to the streetcar. Streetcars are key to mobility for senior residents and residents with mobility challenges. They are easier to get on and off, helping people be better connected to their daily needs–a big selling point to Portland leaders building their streetcar. An improved public realm and accessibility improvements will make the corridor a better place for all to experience. The federal and state governments under-spend on transit, yet Seattle has secured $83 million for this project–money that the federal government will not re-allocate to a bus project. If we do not use this funding, it will go to another city. We made this same terrible choice in the 1960s rejecting federal subway money that went on to fund Atlanta’s MARTA. Such a decision does not look good in retrospect. Rejecting federal funding could even imperil Seattle’s standing for similar funding requests for new RapidRide corridors, small pedestrian and bicycle projects, and even regional light rail. Tens of millions of dollars in the project are for utility improvements that would have had to happen anyway, but when attributed to the streetcar make the streetcar look more expensive. Failure to execute the project will mean a loss of both federal funding and the investments already made in this project for nearly a decade. Construction costs generally only go up, so delays to this project increase the cost to taxpayers–by at least $10 million. Construction cost estimates have increased 13% in this long-planned project, but construction costs are going up rapidly on all public and private projects. This cost increase pales in comparison to the 3-4% annual cost increases found in private construction and the growing cost estimates for Link light rail. The mayor and council have not proposed any sufficient solution to meet growing mobility challenges. Finding another solution takes time, all while construction costs rise. Bus solutions are not viable because Metro cannot hire enough bus drivers to meet current need and has no bus yard space for more buses. Our bus corridors are already over capacity. The most likely outcome appears to a more expensive solution later, or no solution which carries its own costs to our city’s vitality. The Center City Connector, in planning for a decade, is the only high capacity transit slated to open in Downtown Seattle before 2035. Adding more capacity in the center city is crucially important to keep Seattle moving while jobs grow up to 50% in the next two decades. Instead of doing nothing or costly delays, it’s time to build the Center City Connector! You can help make sure that the streetcar connector becomes a reality by signing our petition. Previous articleTour the Future University of Washington with The Urbanist on April 14th! 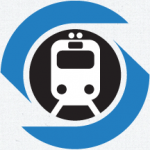 Seattle Subway is an all-volunteer, grassroots organization dedicated to promoting high quality transit for Seattle and the Puget Sound Region on the fastest possible timeline. drivers to meet current need and has no bus yard space for more buses. Our bus corridors are already over capacity. Sorry, but that makes no sense. One Metro bus can carry as many riders as one Seattle streetcar. Either way it takes one driver. In fact, both are employed by the same organization (Metro). If there is a hiring shortage, it applies to both vehicles. If anything, using streetcars is a bigger problem, as it is harder to switch off between vehicles. The same is true of bus yards. Bus yards can be anywhere (unlike streetcar yards). Thus storing them becomes cheaper. Finally, there is no reason why this can’t be repurposed as a bus corridor. Doing so would lead to a more effective, flexible system. While there are a few people that want to get from one side of downtown to the other, there are massive numbers of people who want to get from one part of town to the other end of downtown. For example, Eastlake to Pioneer Square ridership is much higher than South Lake Union to Pioneer Square ridership, since the latter is merely a subset of the former. The same is true for Rainier Valley to Pike Place service (instead of Jackson to Pike Place). frequent than Link light rail’s rush-hour service. True, but Link will soon have 3 minute headways through downtown. Meanwhile, both are tiny compared to bus service downtown. The new streetcar line will suffer because of the old alignment. The old alignment makes it completely unusable for anything over a couple miles. From South Lake Union to Capitol Hill the 8 makes more sense. From other parts of downtown to Capitol Hill, light rail makes more sense. From Madison to First Hill, the Madison BRT makes more sense. From Jackson to First Hill it is faster to walk. The slow speed (on either end) means that the train will be inconsistent, unlike Link. At the same time, it won’t be as frequent as a bus. If you are standing on third, and want to go north or south a mile or so, you can catch a bus without waiting. That bus may be significantly late in arriving, but it doesn’t matter to you. If the streetcar is built, then this inconsistency matters. If a streetcar is five minutes late completing the First Hill part of its journey, it will start at the same time a South Lake Union streetcar starts. That means a ten minute wait. You are better off walking up to Third, and catching a bus, or going into the tunnel, and getting on Link. capacity transit slated to open in Downtown Seattle before 2035. Again, simply not true. Madison BRT will open in a few years, and each bus can carry just as many riders as a streetcar. That is just one of the many set of projects set for downtown (http://seattletransitblog.com/2015/12/21/rapidride-the-corridors/). I could go on. The streetcar line (if completed) would be a small, poorly designed transit route, that has the misfortune of having a streetcar on it, instead of a faster, more reliable bus.